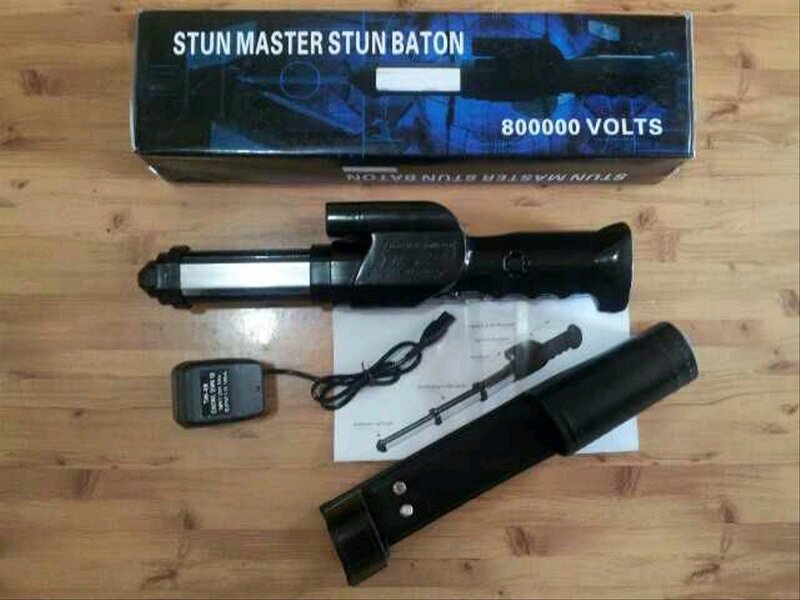 The Stun Master Telescopic Stun Baton has three ways to protect you: a Light, a loud 120db Alarm and 7,500,000 Million Volts of stopping power. It's rechargeable so you never have to buy batteries. 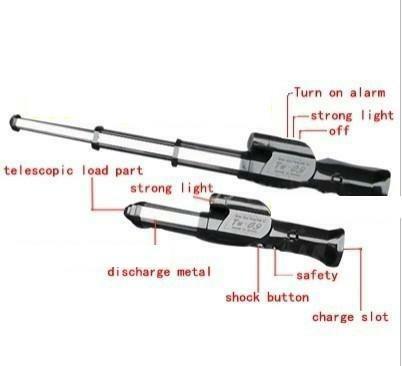 It's 21.5 inches long when fully extended, and only 13 inches when collapsed. The full length of the metal part is electrified. 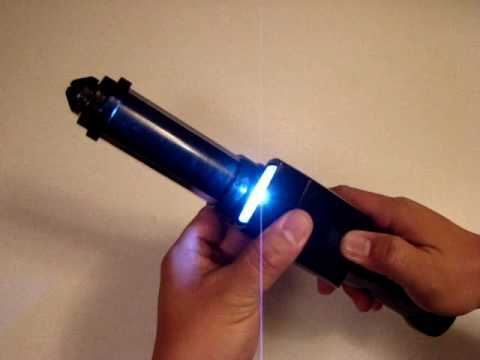 If the attacker tries to grab the Telescopic Stun Baton from you, he will be shocked. 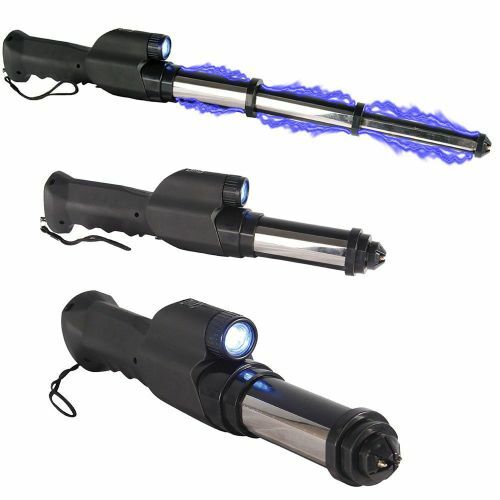 A push of the trigger immediately expands the Telescopic Stun Baton and starts shocking. Just push it on the end to collapse. Very easy to do. Don't worry about being shocked should the attacker be touching you. Won't happen! The current will not pass to you. Will shock through a 1/2 inch of clothing.